Bush Radio in partnership with the Deutsche Welle Akademie is currently (18 – 28 July 2011) holding a training workshop at the Bush Radio training facilities to a selected group of talented television journalists, camera operators and technicians from several television stations in Africa. 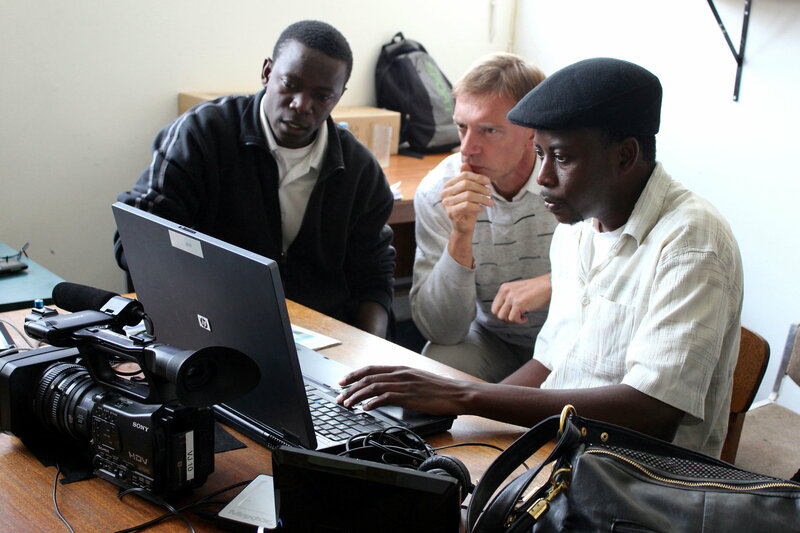 The workshop aims to enable African journalists to “tell their stories” by producing professional TV reports and documentaries, and consequently offering their audiences an African perspective on relevant issues such as environmental protection, economic development, poverty reduction, health, education and good governance. There are a diverse number of objectives that the workshop aims to achieve, including the improvement of the individuals skills as well as the promotion of African perspectives on social, economic and developmental issues. Trainers, Thomas Rehermann, Robert Donauer, Florian Kroker and Jan Bruck are doing their very best to ensure that the best training is being provided to the participants. In the first stage the participants are divided up into teams consisting of a journalist, one camera operator and one picture editor. These teams are then given tasks and at the end of the workshop they are requested to produce at least one broadcast-quality report. 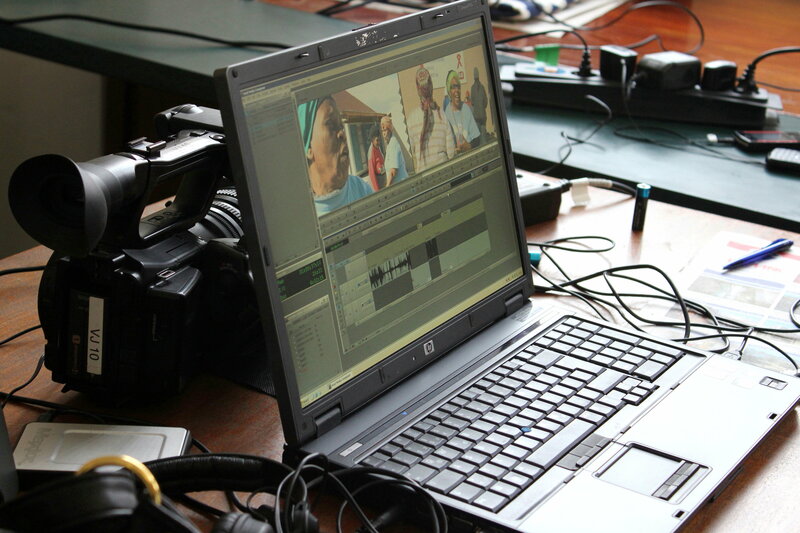 The workshop also aims to enhance reporting abilities, including, story selection, research, production organisation, camera work, the basic principles of editing, storytelling and writing for television. Stages two and three are even more exciting than stage one. In stage two the team who produces the best report in stage one is identified, and then invited to develop these reports in co-operation with editors and technicians from Deutsche Welle-TV. Deutsche Welle will then distribute the reports through various channels to an international audience. Stage three then allows the top 20 participants the opportunity to visit Germany. During this period, they will exchange views with decision-makers and opinion leaders, in order for authentic African perspectives on international issues to be discussed. This visit will also give participants the chance to learn more about German and European opinions about current issues. Pennipher Sikainda from Muvi TV in Zambia said that the course has been excellent thus far, especially because it has been focusing on the training of TV production. She also said that the theme of the course “Africa On The Move” is wonderful since they have seen few stories depicting growth both socially and economically. She said that the lectures are fantastic, because they are sharing great tips that she could use to meet international broadcasting standards.